This big, handsome fellow was a delight to photograph and paint. What a sweetie! It's pretty obvious that he has a huge heart, and it's all devoted to his forever person, Lisa. Zeus had heart surgery when he was just a pup, and Lisa has been there for him every step of the way. From the stories Lisa has told me about Zeus, he's been there for her, too, like a true blue, big-hearted, totally devoted best friend should! This painting was a gift to Lisa for her birthday, from the other man in her life, Ed. 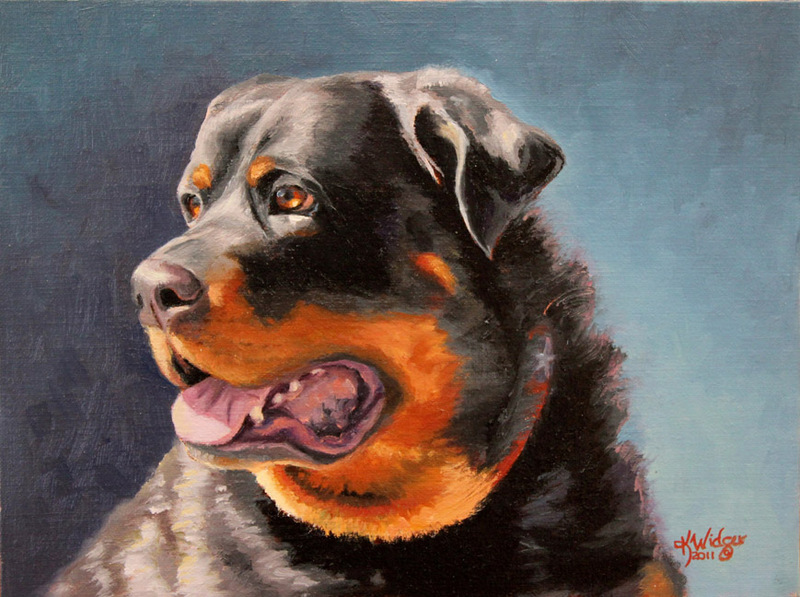 Contact me if you'd like a painting of your best friend! 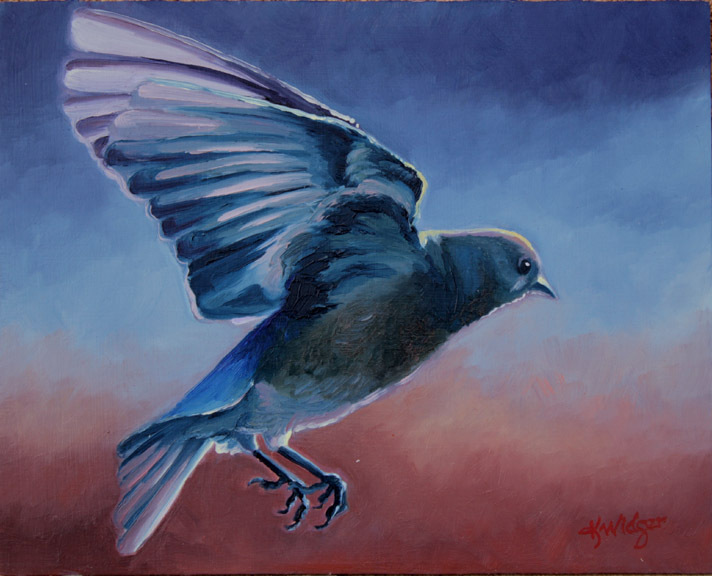 Just finished these two bluebirds from the same series. They are three different bluebirds, all males, who showed up at the bluebird box late this winter. Ken got several more great shots of both males and females checking out the box. 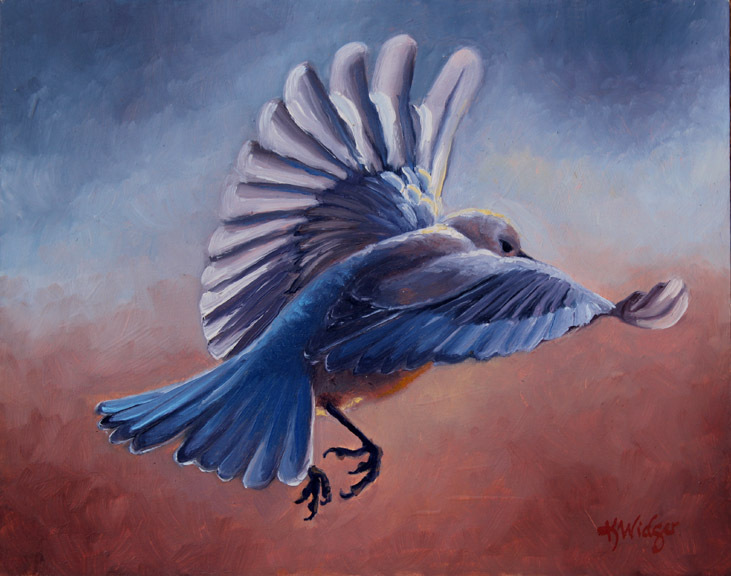 I'm planning on a 16 x 20 and perhaps another, smaller one, with numerous bluebirds. Just a few days ago, I noticed a pair of Westerns beginning to build a nest in the box. Might be a pair of the bluebirds who came this winter? These three paintings will be framed in a simple ash set-in frame and will go to a gallery later on this spring. If you're interested, please contact me ASAP.